Could I Have That ? When winter comes around, most of us are good about changing up our makeup looks and restocking our beauty arsenals with seasonal must-haves. But the area that deserves the most attention is your skincare routine. After all, the New Year brings more than just new beginnings: It brings cool, dry air that can wreak havoc on our skin, leaving it irritated and dull. In search of a seasonal upgrade to our skincare game, we consulted bloggers Samantha Wennerstrom of Could I Have That, Jill Wallace of Little Black Boots, and Anne Di of Beauty Bitten for some must-have product swaps featuring nourishing, gentle ingredients. From a gel-to-oil cleanser to a peel-away mask, their Bliss picks make it easier than ever to achieve winter skin goals. Ready to shape up your skincare routine? Keep scrolling for four easy product swaps that’ll help you get through the dipping temperatures. So you got home a little too late and ended up getting into bed without washing your face (gasp! )… While we’ve all been there, you don’t want to make a habit of it. Wipes are often saturated with chemicals that can leave skin feeling stripped, dry, and irritated. Instead, stick to a formula that does it all (namely, removing makeup and hydrating your skin). Wennerstrom is a fan of Bliss’s Fabulous Makeup Melt Gel-to-Oil Cleanser because it “never leaves a trace of makeup anywhere.” It’s easy to use, too: Massage the gel into skin and watch it turn into a cleansing oil that melts away makeup and impurities. Don’t forget to rinse with water afterward, and follow up with a gentle, lathering face wash if you’re into double-cleansing. Exfoliation is always important, but it’s especially vital to your winter skincare routine. Look for gentle formulas that won’t irritate dry skin and steer clear of harsh ingredients. Bliss’s Fabulous Foaming Face Wash fits the bill, says Wallace. “My skin can err on the side of dry, but this formula gently exfoliates and leaves my skin feeling soothed and balanced—never stripped,” she adds. That’s because it’s chock-full of good-for-skin ingredients like rosehip extract, which is known for its healing and antiseptic properties; passion flower extract to help calm and soothe skin; and chamomile extract, which is an anti-inflammatory. We all know masks are super satisfying, but what makes one next-level good? When it’s easy to peel away. Case in point: Bliss’s new Mask-a-‘Peel’ Complexion Clearing Rubberizing Mask. 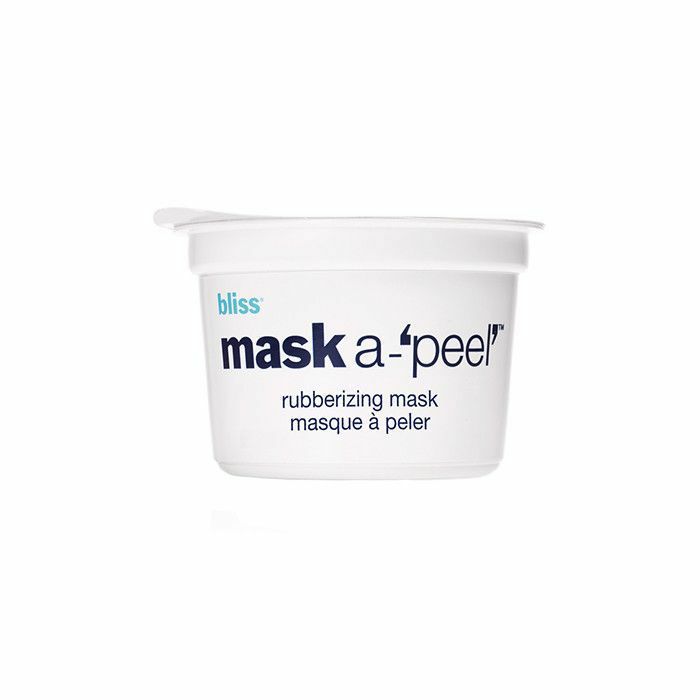 The mask hugs every facial contour to ensure that all of its nourishing ingredients are deposited equally. Wennerstrom says it’s one of the most refreshing masks she’s come across, and we couldn’t agree more. “The smell alone feels like a trip to the spa, but after peeling it off, I could immediately feel its effects, thanks to the tea tree oil and methol extract,” she shares. Tea tree oil is commonly used in skincare to help declog pores and prevent future breakouts, while menthol extract gently cools and refreshes the skin. Follow it up with a good moisturizer. Warmer air holds a lot of water vapor, helping skin stay hydrated during the spring and summer… But once temperatures start to dip, it’s another story. Enter Fabulous Drench ‘n’ Quench, Bliss’s patented formula that uses hydrozome technology to transform into water once it makes contact with skin, locking in moisture deep below the surface. The result? A complexion that’s plump, healthy, and refreshed, says Di: “This moisturizer instantly helps the dry areas on my face, but [it] does so without making my skin look or feel oily.” A big accomplishment for a water-based formula, if you ask us! How do you revamp your skincare routine for winter? Tell us in the comments below.